This is our stunning 2002 Pena floor plan with 51' deep with 13.6 ft door RV garage. 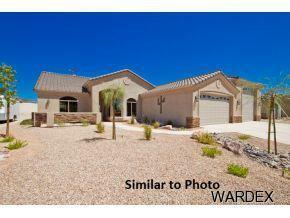 Open concept w/high ceilings and 8' doors throughout. 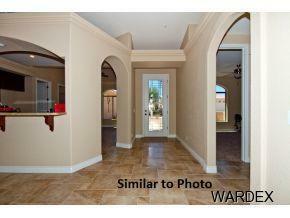 Upgrades include granite counters, raised panel cabinets, tile floors (except bedrooms)and two-tone paint. 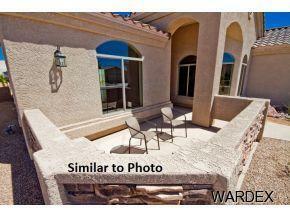 Features Low E dual pane windows and energy efficient air conditioner to help cut down on the utility bills. Casita Plan available. We build the home, you pick the finishes. 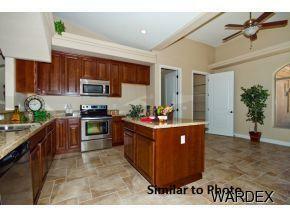 Come visit our model at 2040 N. Palo Verde to see other floor plans starting at only $159,900. Model hours are Mon-Sat 10-4 and Sun 11-3Buyer to verify all RV garage measurements including depth, width, door height and door clearance.